One of the biggest decisions to make when looking for your next vehicle is deciding how you’re going to pay for it: Would you prefer to buy your new car, and eventually own it, or lease it, and trade it in for a newer model at the end of your term? There are certainly a few pros and cons to consider when deciding whether to buy or lease your car, but not to worry! 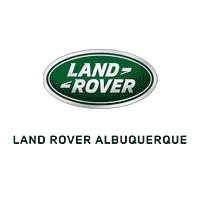 Our team at Land Rover Albuquerque has put together this guide for our drivers in Albuquerque, Rio Rancho, and South Valley, so you can get all your financing vs. leasing info in one place. Buying or leasing your next car essentially comes down to preference. 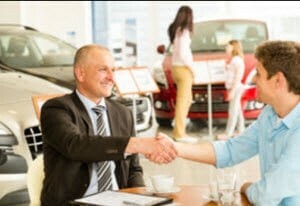 When you choose to buy a car, you make payments for a set loan term, until the car is paid off, and then the title is given to you and you own the vehicle. When you lease your car, you make monthly payments for a set term, but you do not own the car at the end of the term; you have the option to either buy it out, or trade it in for a newer or different model and start a new lease. Buying a car has plenty of pros. To start, you’ll own the vehicle after it’s paid off, and have no more monthly payments—unless, of course, you choose to buy a new car. You also don’t have to worry about how many miles you put on the vehicle, or adding accessories to it. There are a few drawbacks when choosing to buy your next car. Your car payments are usually a bit higher than they would be if you leased the vehicle, since you’re paying interest, taxes, and fees. Additionally, a larger down payment is often required at the time of purchase—anywhere from 10% to 20% most times. When you lease a vehicle, your monthly payments are usually lower—meaning you can lease a car you perhaps wouldn’t be able to buy. Most lease terms last the same length as the warranty, so they’ll be fully covered while the car is in your possession. There are several restrictions when buying a lease that you can be charged for at the end of the term, such as going over the mileage rate, or some wear and tear. Also, leasing doesn’t allow you any equity, and you’ll have a continuous car payment unless you decide to buy the vehicle out. As we’ve pointed out, there are a few pros and cons of leasing vs. buying your next vehicle, and it really comes down to your personal preference and what fits into your budget. If you’d like to learn more about leasing or buying your next vehicle, contact us at Land Rover Albuquerque for more information. We proudly serve the areas of Albuquerque, Rio Rancho, and South Valley, and would be happy to tell you more about your financing options.